For some, Autumn is a difficult time when the focus is loss; loss of summer, warmth, green. Everything seems to be dying, but in actuality it is just a shift of energy toward the future when all will become new again. 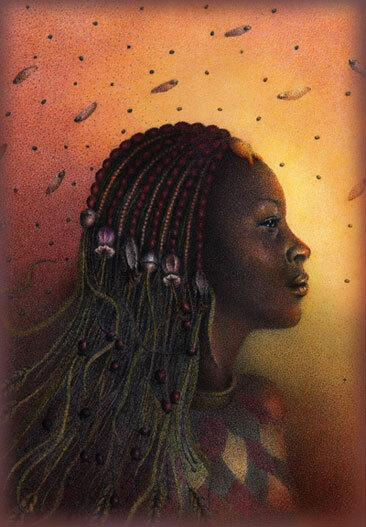 Goddess of Autumn Abundance is a celebration of Autumn harvest and the spreading of seeds for renewal. The original illustration is 7.25"x8.5" and was created with acrylic, pen and ink, and colored pencil.